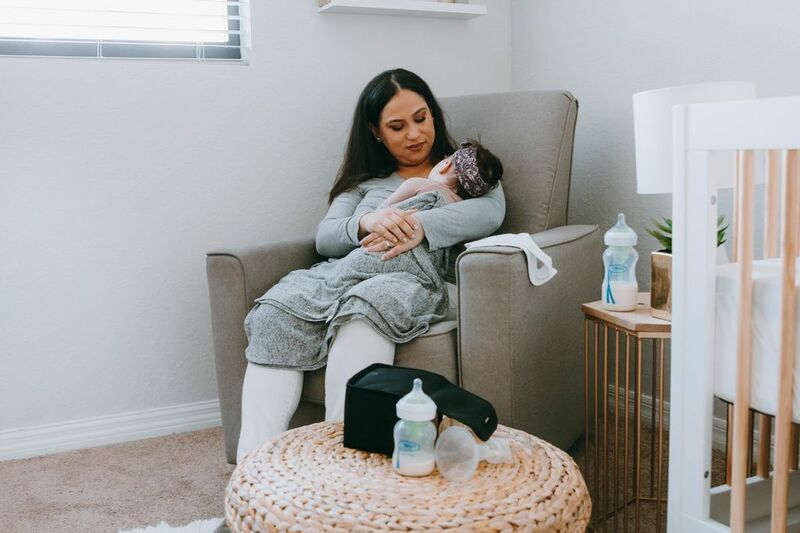 It's 2019, and while we would love to say that men and women are both equal partners in parenting, the fact remains that while dads are really trying to do their part, mama is still carrying most of the mental load. 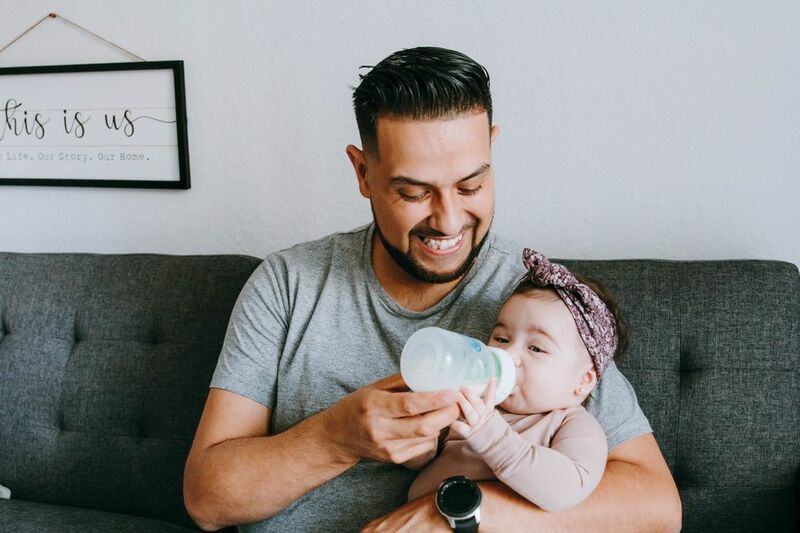 So it is not entirely surprising that a new study out of the University of California Riverside found that fathers are happier parents than mothers. 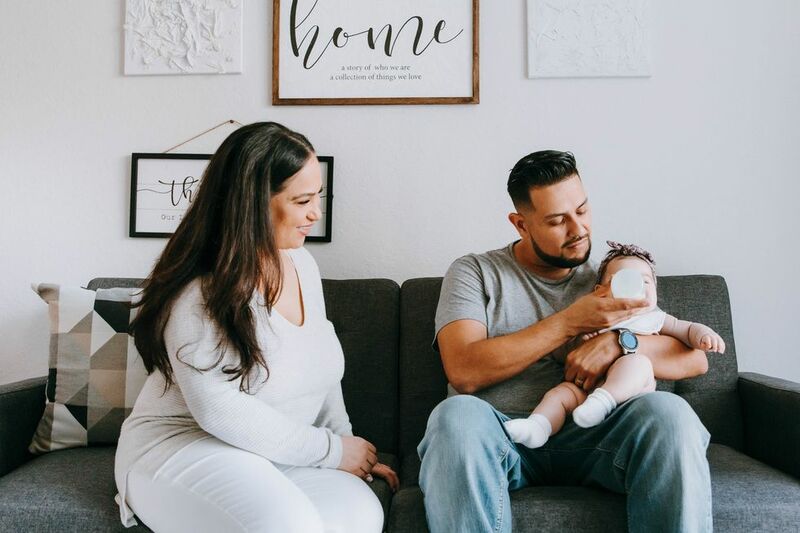 A team of researchers analyzed three studies in which a total of 18,000 people participated to figure out whether moms or dads experience greater happiness and well-being from being a parent. Two of the studies compared mothers' and fathers' happiness levels to people who don't have kids and the third looked at how parents felt while engaging in day-to-day activities and compared that to how they felt when they were engaged in childcare. Both moms and dad were happiest when they were with their kids compared to doing any other activity, but dads were way happier than moms. "Fathers may fare better than mothers in part due to how they spend their time with their children," says study author Katherine Nelson-Coffey. Basically, dads are more likely to be playing with the kids, while moms are more likely to be doing the day-to-day childcare stuff: Dressing them, feeding them, driving them places, picking them up, bathing them and all the other things we have to do to take care of them each day. All of these things are time spent with our kids, but these activities are also work, not play, and when mama is the default parent (meaning all the hard stuff falls to her), she may not have a lot of time or energy for play. The researchers say the study suggests that all parents could benefit from playing with their kids more. But here's the thing: If we really want to even this out, if we really want mothers to be happier, we can't put this on Mama. We can't tell her that she'll be happier if she just plays with the kids more because she obviously doesn't have the time or energy to do that. What we need is for society at large to recognize that dads are equal parents who can and should shoulder an equal share of our mental load. We need our communities to buy into this, our workplaces to buy into this and our partners to buy into this so that dads feel supported and confident in being full parents, not just playmates. What we need is for our partners to do a little more of the work so we can play, too.